AmeriCorps members with Green City Force tend to an urban farm in Red Hook, Brooklyn. Summer is a critical time for teens and young adults to learn and grow. Experiences outside the classroom, including summer jobs, internships and enrichment programs, are important résumé-builders and networking opportunities that help young people get into college and launch careers. Unfortunately, these beneficial summer activities are scarce for thousands of young adults, particularly those in underserved communities where jobs and disposable income are limited. While some young people spend the summer gaining workplace exposure, earning their first paycheck or exploring career options, others fall behind. When schools close, millions of youth are cut off from access to vital educational, emotional and nutritional support systems. This leads to the "summer slide," when students lose educational achievements made during the previous school year. To help level the playing field, we need to ensure that all young adults have access to positive summer opportunities. The Obama Administration is helping in this effort with the recently announced Summer Opportunity Project. This initiative unites federal agencies, community organizations, employers, schools and elected officials in creating better and more accessible summer opportunities for youth. These opportunities - especially summer programs that allow young people to volunteer - not only benefit individuals, but our country as a whole. One dollar invested in national service returns four dollars to society in terms of higher earnings, meeting public needs and decreasing government spending, thereby saving taxpayers money. 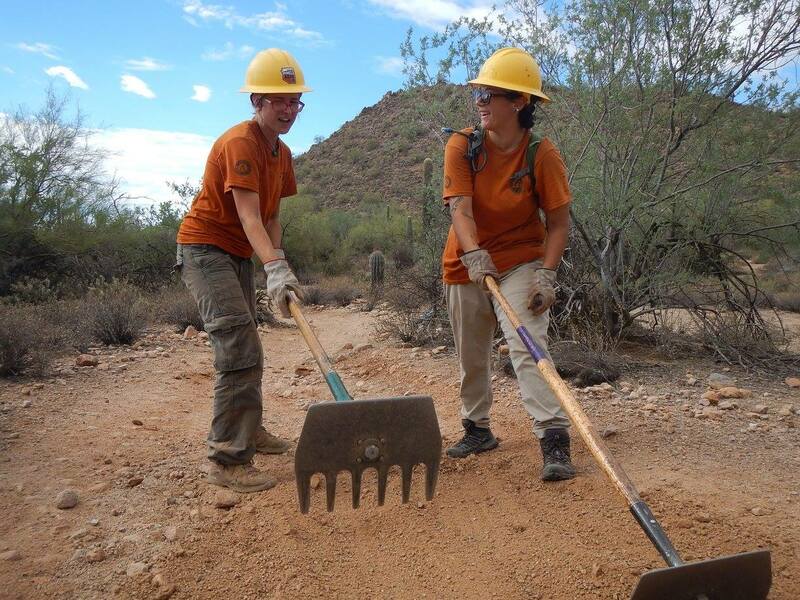 Summer AmeriCorps members with Arizona Conservation Corps participate in a trail maintenance project. Through service, young people recognize they can have a tangible, positive impact on society. Their service projects address real issues affecting local communities. Participants in national service programs plant gardens to provide fresh produce in areas with limited access to healthy food. They weatherize low-income homes to save energy and help families cut utility expenses. And they restore habitats to ensure the sustainability of our parks and forests. Summer service at a nonprofit, school, government or community organization is also personally enriching for a young person. A majority of people who served in AmeriCorps, the federal service program that the Summer Opportunity Project would support, report feeling that their service experience broadened their worldview, increased their civic engagement, clarified their career path and increased their ability to work with others and respond to challenges. The benefits of service extend long after summer ends. As they work alongside professionals, young people learn about available jobs and build connections with people who can act as references and mentors. Research shows that people without a high school diploma who volunteer are 51 percent more likely to find employment than their peers who don't serve. Summer opportunities - especially summer service - help our future leaders broaden their horizons and meet their full potential. Without programs like those that will be funded by the Summer Opportunity Project, young people who otherwise may have learned valuable job skills while earning a stipend and serving their community could fall victim to the summer slide. Communities that could have been energized and positively impacted by the service of these young people will continue to see needs go unmet. We call on all elected officials to support the Summer Opportunity Project. It wisely invests in our most important resource: the future leaders of this great country. It could be the best investment you make.